The best way to help our customers is by providing them with professional moving services and useful advice on any of our Man with Van services in London and the surrounding areas. We can customise our man and van services across London to meet your relocation needs. If you have any queries about our service please contact us or read on. When Should I Call A Man And Van Company? You should have enough time to prepare for your move and assess the removal estimates you have been given to make sure that you make best decision. 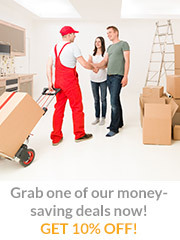 What Sets Ryan Man and Van Services Apart From Other Local Removal Companies? We at Ryan Man and Van Services will never surprise you with any hidden fees or additional charges. We will offer you a final price that is based on the amount of items you need to move and the type of your relocation, so you will know exactly how much you need to pay at the end of the job. The cost of your move depends on the number of items you want to relocate, the time needed to perform the move, distance and the packaging materials used, which we can supply at an additional cost upon request. The sum of the transportation, labour needed and the removal form the final price of the move. Contact us on ‎020 3790 7075, email us at [email protected] or chat with our customer support team by using the live chat window to discuss your individual removal needs. Yes, we offer free quotes with no strings attached. What is more, you can discuss your specific moving requirements with our knowledgeable team and get an accurate free quote on the spot, and that will be the final cost of your move. We serve all London areas and beyond and we can carry out removals of any size or type. We operate 24 hours a day, 7 days a week, so we can come to you whenever you need help. What is the Size of your Removal Vans? We boast a large fleet of removal vans that are equipped with GPS systems and the latest moving tools. Our removal vehicles include padded work vans for moving lots of delicate objects and full-size trucks for international moves an large scale UK moves. Do You Deliver Storage and Packing Services? We provide a large variety of affordable packing services and safe storage solutions to the residents in London at the most competitive prices around. If you hire us we will safely pack your personal items or office equipment and store them in our secure storage units with 24 hours manned security. Take advantage of our discounts today. You can also benefit from our combined storage and packaging package and save some cash. Note: If you have glass panels, you should disassemble the furniture for safe removal. All pieces of furniture need to be dismantled before collection and removal, or we tackle this for you, upon request. We estimate the price for dismantled furniture based on the number of its components, e.g. one bed frame is one item, mattress is another item and slats are classed as a separate item. Note: You need to safely pack the different fragile items and electronics to guarantee there will be no damage. Note: You may be charged additionally if we have to move goods requiring special attention, such as: refrigerators, TVs, air conditioners, microwaves, etc. Note: You need to provide us with more information about the size and dimensions of your items, whether they are in or out of your property, and if we will have to disassemble them. Note: If you want to relocate an item that is not mentioned here, please contact our customer care team and they will let you know if we can help you move it. Note: We can also help you relocate your car or boat with a minimum of fuss, wherever you need to move it. Simply let us know what you your individual requirements are and the final destination and our customer service representatives will provide you with a free quote with no obligation necessary.